The two lap swim for the RBS ~ Morgans Coles Bay Half will take place in the stunning clear waters of Great Oyster Bay. The 1.9km course starts adjacent to the Muirs Beach boat ramp and Jetty It will be a beach start.Competitors begin the bike course from the Transition/Bike Compound located in the Coles Bay Village Green (bordered by Muirs Beach and the Esplanade). Leaving the Village Green along the Esplanade and exiting on to the Coles Bay Road at the junction of Freycinet Drive/Esplanade and Coles Bay Road. Riders then turn left at the junction and proceed along the Coles Bay Road heading out of town. 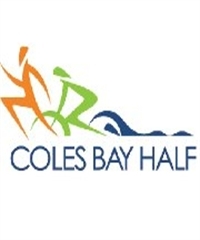 After dismounting their bikes competitors will veer right into transition to change race clothing for the run leg that takes in the beautiful Coles Bay foreshore. On the final lap, after of coming off the beach and heading back along the Esplanade, runners turn left and run into the transition area and the finish line.